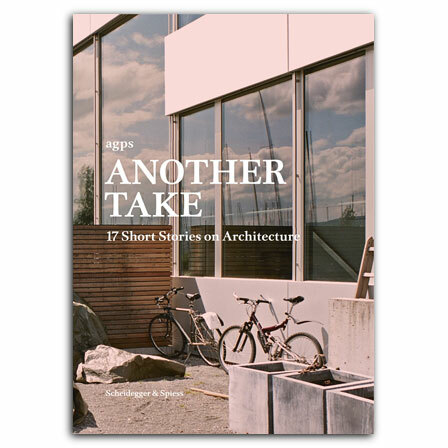 Founded in 1982 by Marc Angélil and Sarah Graham, agps architecture is a multidisciplinary design cooperative with studios in Los Angeles and Zürich. The firm has designed multiple projects in America and Europe for government bodies and educational institutions, as well as several structures for commercial and residential use. Their projects include the Midfield Terminal at Zurich Airport, the Town Center and Light Rail Station in Esslingen near Zürich, the Children’s Museum of Los Angeles, lunch shelters for the Los Angeles Unified School District, storefronts in Los Angeles’s Korea Town, private residences in California, and the Portland Aerial Tram. Another Take is the first comprehensive survey of the projects imagined and completed by agps architecture. Complete with color photographs by Andrea Helbling of each of the projects, floor plans, sections, and elevations, as well as essays by Benjamin Muschg, Denise Bratton, Verena Doerfler, and Claude Enderle that delve into frequently overlooked aspects of architectural design, this stunning volume serves as both a portfolio and a sort of exploration of latent, but recognizable traits that are as much a part of the buildings as their physical manifestation.